Expandable: Add additional gutter-connected bays as you grow. Poly-Vent® ventilation: Controlled, sidewall natural ventilation system. 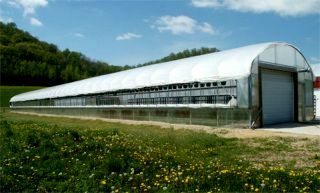 Double poly or polycarbonate: Choose double poly or polycarbonate structured sheeting for the covering. 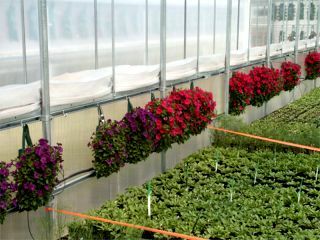 Available as a 21-foot wide single freestanding bay or in any number of gutter connected bays for widths of 42', 63', 84', or more. The Expansion Mansion features tough, 2-inch, 14 ga. Allied Gatorshield® steel frame for longevity you can count on. Load it up with confidence that it will stand up to the rain, snow and sun for years to come. 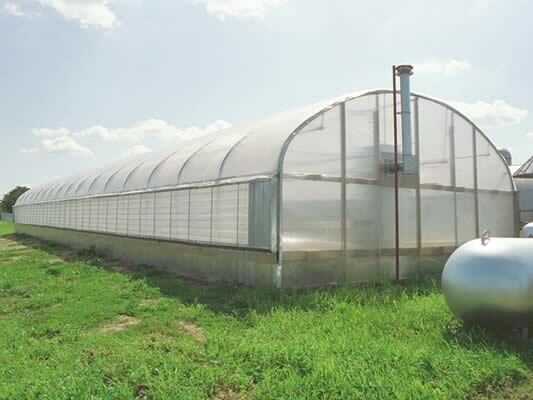 Double inflated poly or polycarbonate sheeting. 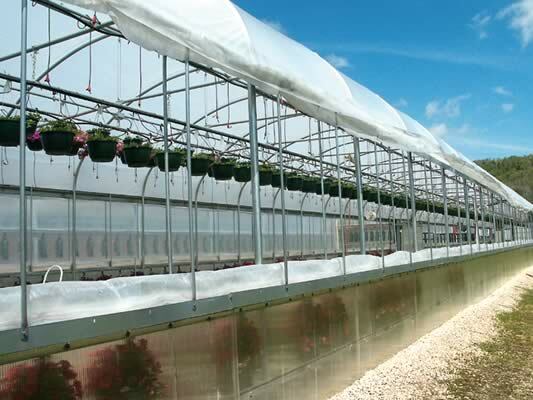 Choose from a white or clear double polyethylene or several different types of long-lasting polycarbonate structured sheeting. You can order your Expansion Mansion with a multitude of different doors for work flow and ventilation. You can purchase just the Expansion Mansion frame or a complete package that includes poly covering, Poly-Vent sides, rain gutters, doors and more. 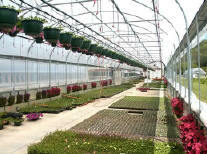 You can even purchase a complete turnkey operation with our full line of options. Choose the options you need and leave out those that you don't need. 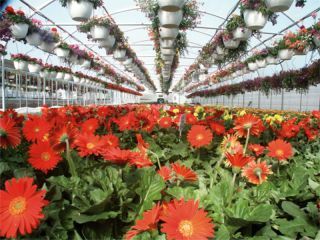 From fans to heaters to controls, we can configure a greenhouse specifically to your needs. Frame only price includes: 2” O.D. 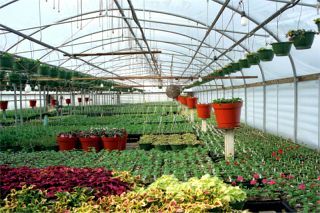 14 ga. galvanized frames, 3-part galvanized trusses on all intermediate hoops, diagonal struts in corners, 2” O.D. 14 ga. ridge purlin, ground stakes, rain gutter sections (on multiple bay configurations), heavy welded ring fittings, assembly hardware and setup manual. 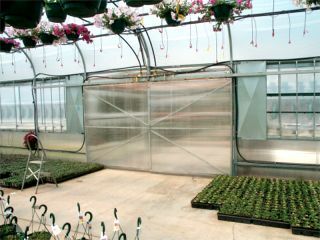 Standard package includes: Everything included in frame only price and: Poly-Vent® III side ventilation system with 2-stage thermostats, clear, 8mm polycarbonate sheeting under side ventilation, double poly roof and end walls with inflation kit, (2) 3’-0” x 6’-8” swinging doors, and Wiggle-Wire™ poly fastener system. » Truss height: Approx. 8'-6"